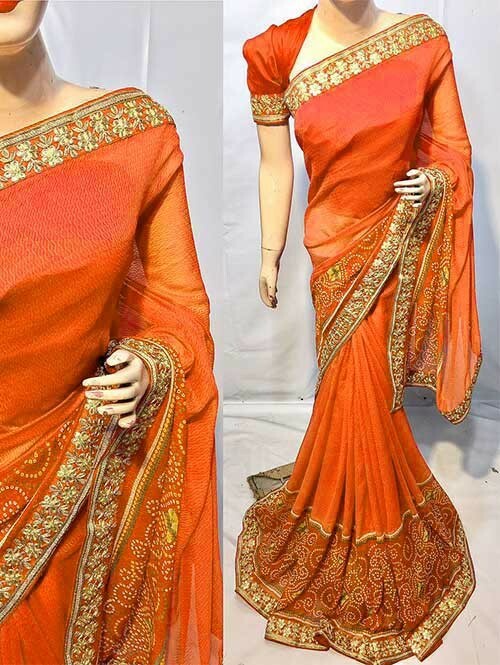 Orange Colored Beautiful Printed Pure chiffon soothe fabric Saree which has Beautiful Embroidered Border. 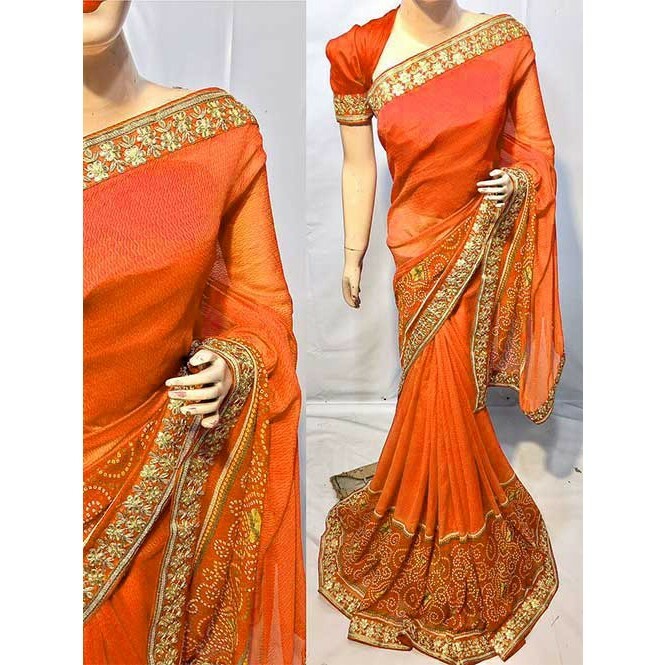 Add an alluring look to your style by wearing this Orange colored saree in Pure chiffon fabric. 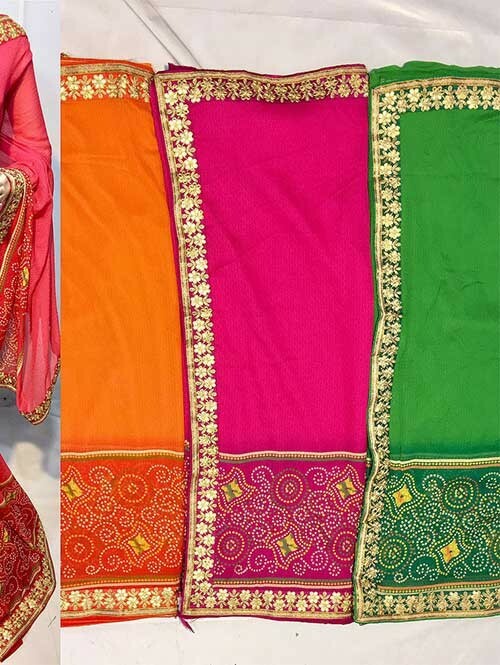 The entire saree has beautiful Embroidered Border with intricate prints all over it. 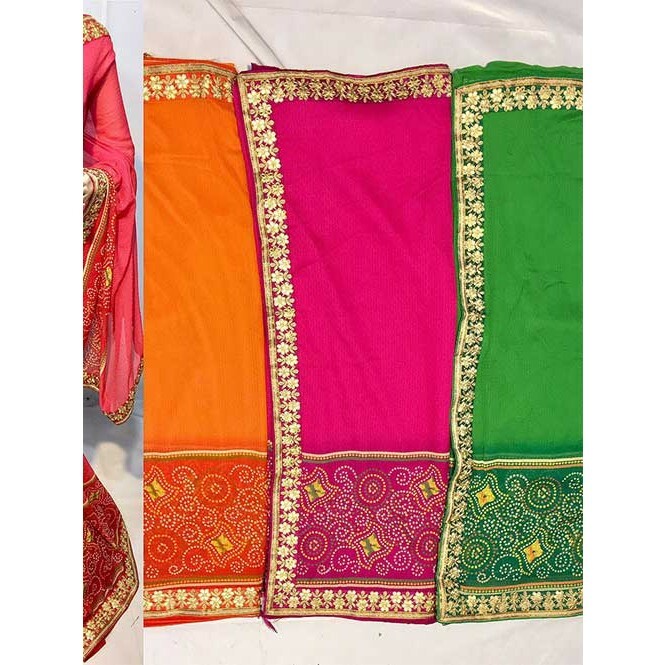 This saree will look awesome at any occasion as the saree comes with alluring Bandhani prints and catchy color shades. total saree length 6.30 with blouse.